Zero Waste Scotland is calling on the people of Scotland to have their say on how a national deposit return scheme (DRS) could work best for the country in a series of nationwide public engagement events. Scottish First Minister Nicola Sturgeon committed the Scottish Government to introducing a DRS across Scotland in September last year. 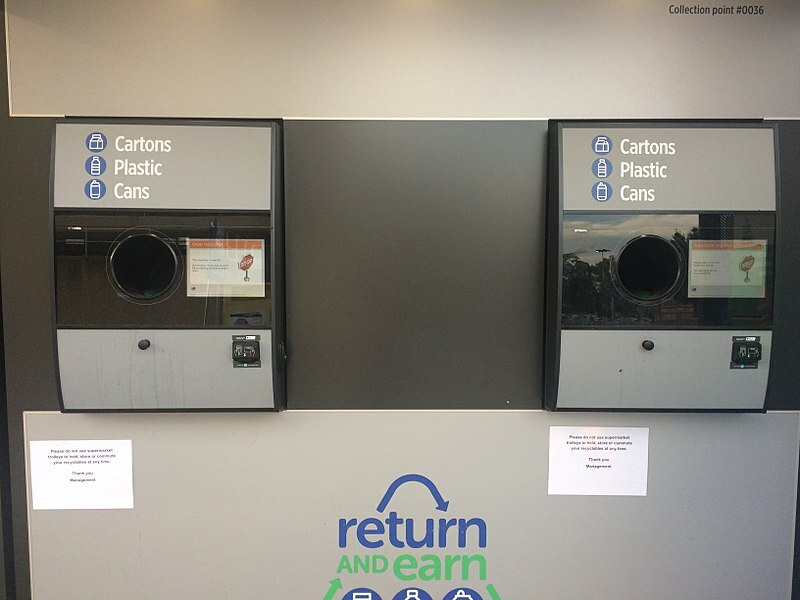 Under a DRS, customers would pay a small deposit when they buy drinks in a plastic bottle or a can, and get the deposit back when they return the empty container for recycling. A public consultation on a DRS for Scotland was officially opened by the Scottish Government last month on 27 June. Throughout the summer people across the country have the opportunity to share their views at a wide range of locations including festivals, visitor attractions, shopping locations and community centres. There will also be a webinar sharing information about the scheme’s potential implications. Deposit return schemes have already been adopted successfully in several countries overseas. Some of the major events where Zero Waste Scotland will have a presence include ButeFest, the European Open Water Swimming Championships, Edinburgh Mela, and the Aviemore Triathlon. Members of the Zero Waste Scotland team will ask the public about different options for a potential DRS, such as the level of deposit, which products should have a deposit on them, where the empty drinks containers should be taken to recoup the deposit, and whether people would welcome the option to donate the deposit in certain circumstances – for example to charities, schools or community groups. Zero Waste Scotland staff will also talk through four hypothetical examples of how the DRS could work, based on 12 variable factors. These examples aim to help people understand the range of different scheme designs with different outcomes that could be created. Zero Waste Scotland’s research shows over 64,000 tonnes of plastic food packaging and plastic bottles is thrown away into household general rubbish bins and sent to landfill every year in Scotland, costing the country £11 million each year. Deposit return schemes in other countries – including Norway, Sweden, Finland, Estonia, Germany, Lithuania, Oregon (USA), British Columbia (Canada), and Alberta (Canada) – can reach over 90% recycling for targeted drinks containers, such as bottles and cans. These modern DRS models are run by industry and feature innovative technology that allows for efficient and convenient collection. Roseanna Cunningham, Cabinet Secretary for the Environment, Climate Change and Land Reform, commented: “A DRS for Scotland has huge potential to increase recycling and reduce litter, as well as bringing economic benefits. Chief Executive of Zero Waste Scotland, Iain Gulland, added: “People will make this scheme a success – for our environment and our economy. The Scottish Government and Zero Waste Scotland have committed to designing the best possible DRS for Scotland. We want it to work for everyone – and that’s why we’re calling on as many people as possible to have their say. Scotland has been at the forefront of the fight against plastic pollution in the UK. In January the government proposed bans on plastic cotton buds and plastic drinking straws, while more recently it appointed the Expert Panel on Environmental Charging and Other Measures – an advisory group of experts from the public sector, academia and the retail, waste and chemical sectors. The panel is examining possible measures that could facilitate Scotland’s transition to a circular economy. The current programme of Zero Waste Scotland’s public engagement events on deposit return, and the public consultation, are available to view on the Scottish Government website. Perth, Leith and central Edinburgh have been selected as the locations for the latest round of Scotland’s Zero Waste Towns project and will share nearly £900,000 of funding to further Zero Waste principles in these areas. If we are to create a circular economy, everyone needs to be on board. Resource looks at how Zero Waste Europe is spreading best practice across the continent, and how lessons for a greener future already exist, they just need to be accessed. The Mayor of London, Sadiq Khan, has presented the final draft of his London Environment Strategy to the London Assembly for consideration, with targets such as becoming a zero-carbon city and reducing the capital’s food waste by 50 per cent by 2030 among the proposals in the revised document. Having given £100,000 to fund store’s plastic-free range, Zero Waste Scotland is looking for more businesses with innovative ideas to combat packaging waste.